Summer’s coming to an end but it’s not quite over yet – there are still a few sunny weekends coming up when you can make the most of the warm weather and improve your home or garden. Here are a few of our favourite DIY projects from around the net – you can make almost all of them with items from your local builders’ or timber merchant, but may need to supplement a few specialist parts from elsewhere. If you don’t quite grow enough to justify a full greenhouse or don’t have the room in the garden, you can make a small ‘lean to’ type of greenhouse with wood and old windows. Timber is generally best for the entire structure to let the plants breathe and prevent too much moisture build up. You just need some timber and can either make the windows yourself with wood and glass (there’s no need to double-glaze!) or try to source some second hand windows online or at a salvage yard. It’s perfect for small grow projects or compact gardens. 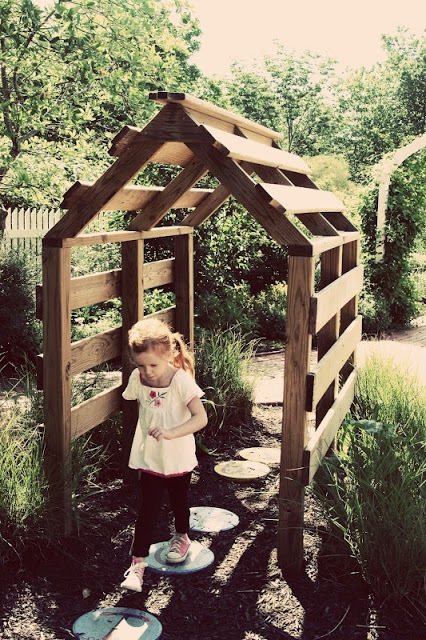 Arbors can be impressive structures but aren’t necessarily difficult to make – the entire structure can be made from wood and completed in a day. You can use the frame to grow climbing plants to eventually cover it, or just stain the wood to match the look of your home. There’s something luxurious and primal about a garden fireplace – it’s rare to find one in the UK but they’re perfect for winding down summer evenings or even roasting marshmallows in winter. 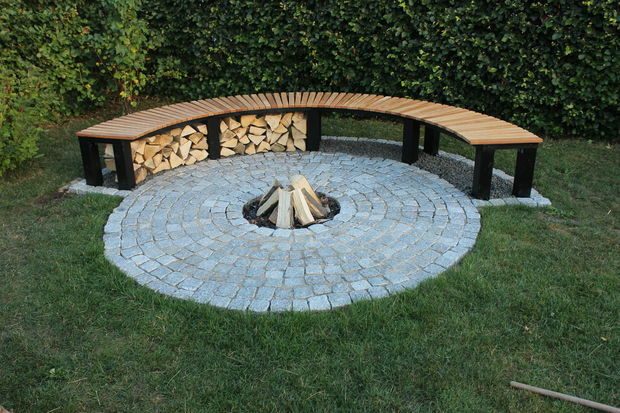 It’s fairly easy to install too – the main materials are pavers for the flooring around your fire and timber for the bench. 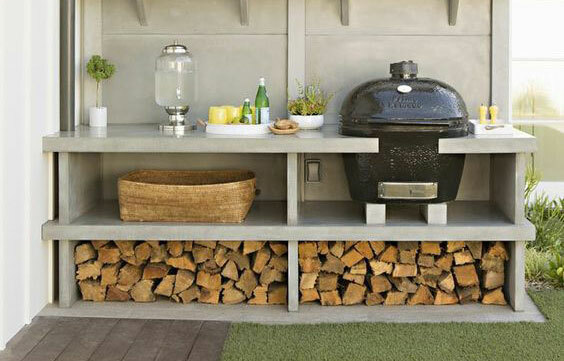 This is definitely one of the more impressive projects we’ve seen – an organised space that’s almost like a pantry for the outdoors. You can build in a log store, install a small BBQ with sideboards, and even have a space on the patio to keep your herb garden. This project takes more expertise and skill than the others to get a good finish, but the main material is still timber with a lick of paint. Sitting under a tree reading a book seems like a lovely way to spend an afternoon, but damp earth and uncomfortable roots can quickly hamper that. 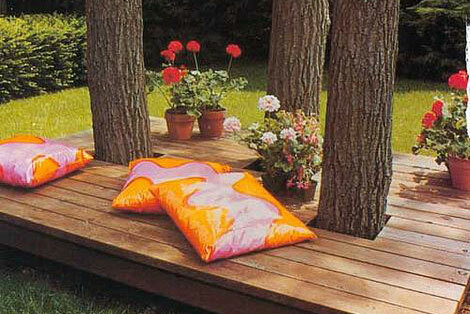 A simple solution is to build some decking around your tree so that you can sit comfortably and enjoy more of your garden throughout the summer. We stock everything you need for this decking project apart from the elbow grease. If you’d like to improve your garden soil and reduce waste at home, a compost heap will kill two birds with one stone. You can build a compost bin in an afternoon to contain the heap and stop it from spilling out elsewhere in the garden. 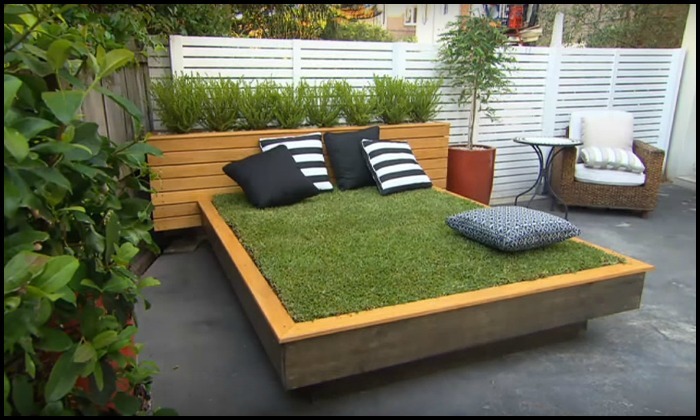 If all of these projects are too big and you’d really just like to make the most of your urban garden, why not create a daybed that lets you lie on the grass? Instead of choosing between a patio and lawn, you can have both. If you don’t want to maintain the grass, you can even use an artificial alternative that won’t ever need mowing or watering.